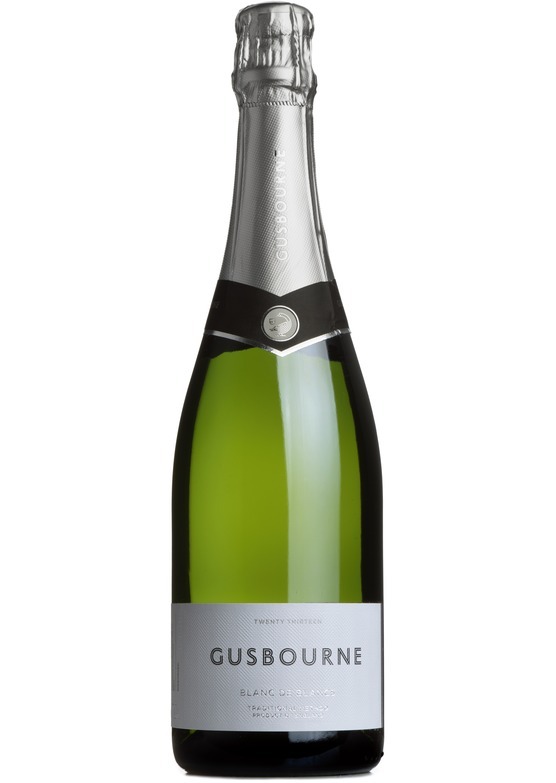 Gusbourne's flagship wine, Gusbourne Blanc de Blancs, is made using hand selected (predominantly Burgundian clone) Chardonnay. The wine is aged for a minimum of thirty six months on lees and three months on cork before we deem it ready for release. The original Gusbourne Estate in Appledore, Kent dates back to 1410. The de Goosebourne family crest was made up of three geese and can be found in the local parish church in Appledore - nowadays, each and every bottle of wine crafted at Gusbourne carries a contemporary goose crest in honour of our heritage. This ‘Goosemark’ is a symbol of trust, representing their pursuit of uncompromising quality. In 2004, Andrew Weeber took over the estate with a clear vision and a single goal: to create English sparkling wines that would stand up alongside the very finest offerings from across the globe. The first vines were planted that year. In 2010, the debut vintages of Gusbourne Brut Reserve 2006 and Gusbourne Blanc de Blancs 2006 were released to critical acclaim. Gusbourne quickly earned a reputation as a producer of outstanding quality wines, with accolades from some of the industry’s most exacting critics.